ENNIS ~ My “Ireland Under Coercion, Revisited” series explores aspects of the book Ireland Under Coercion: The Diary of an American, by journalist William Henry Hurlbert. The Charleston, S.C.-born, Harvard-educated, New York City newspaper editor traveled around Ireland during the first six months of 1888, a period of resurgent agrarian violence and nationalist political agitation. His book, published later that year, focused on these topics. 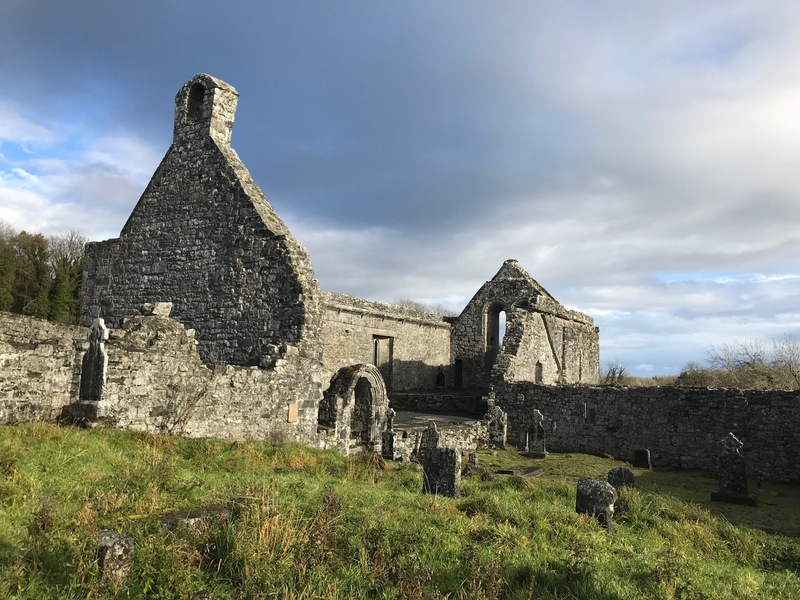 Like most visitors to Ireland, however, Hurlbert also explored the country’s landscapes and landmarks, including the ruins of Killone Abbey in County Clare. The American journalist leveraged his visit to the abbey ruins to criticize the violence in the land reform movement, as discussed in my original post about this section of Hurlbert’s diary. A year later, an Irish priest mocked the characterization in his Hurlbert unmasked rebuttal pamphlet. See black and white images of the abbey, circa 1865, or more than 20 years before Hurlbert’s visit, at this link to the Robert French photography collection at the National Library of Ireland. Below, photos from my 11 November 2018 visit to the site, 130 years after Hurlbert. Approach to Killone Abbey, November 2018. 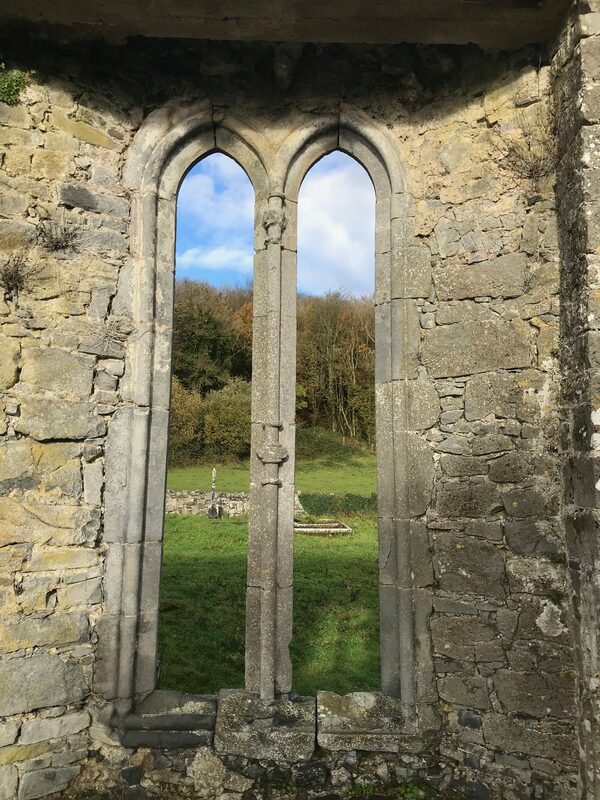 The abbey opened in 1190 and abandoned in the 17th century. Looking back toward the photo vantage above. During his 1888 visit, American journalist William Henry Hurlbert commented about the “picturesque lake” and the “confusion, squalor and neglect” of the abbey graveyard. I’m always drawn to the view from the surviving window frames of ancient ruins. 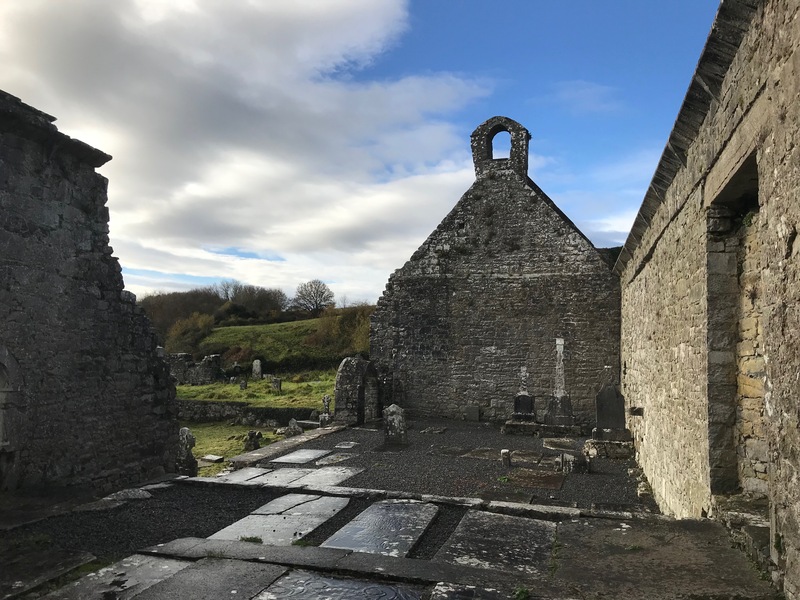 This entry was posted in Arts & Culture, History, Irish America, Journalism, Religion and tagged county clare, Killone Abbey, William Henry Hurlbert on November 13, 2018 by admin. 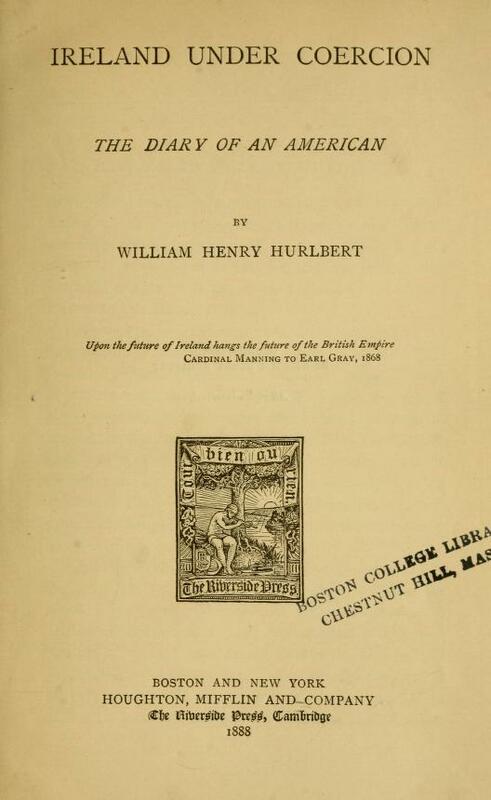 In his 1888 book, Hurlbert claimed a behind-the-scenes role in the notorious 1872 American lecture series that pitted English literary historian James Anthony Froude against Irish Dominican priest Father Thomas Nicholas Burke. Sources suggest that Hurlbert wasn’t overstating his closeness to both men, or to the event, which 16 years later influenced his views about Irish nationalist activities on both sides of the Atlantic. 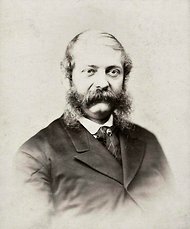 In 1872, Hurlbert was the highly-regarded editor of the New York World. America was still recovering from the civil war. Ireland was a generation past the Great Famine and slowly building toward the agrarian uprising and nationalist agitation that erupted in the 1880s. Hurlbert’s “esteem” for Froude’s “rare abilities” dated to the Englishman’s novel, The Nemesis of Faith, published in 1849, the year Hurbert obtained a divinity degree from Harvard. 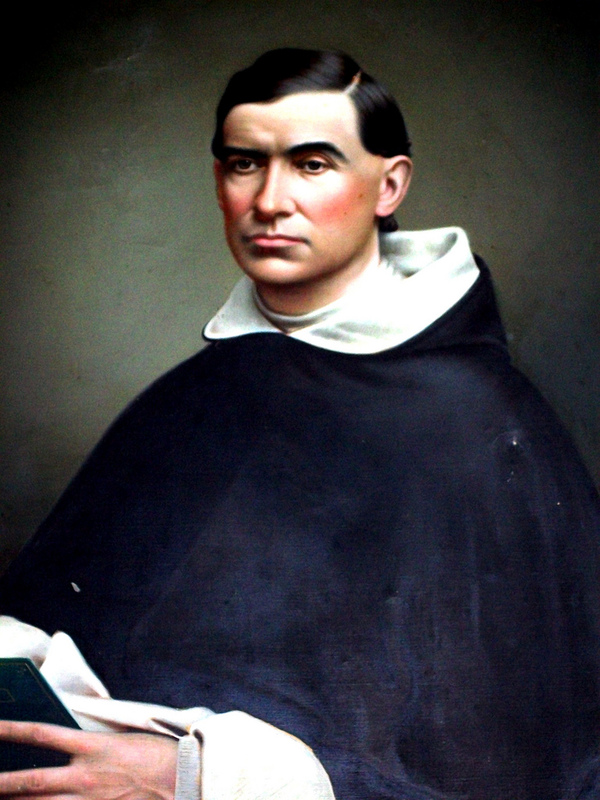 His friendship with the Galway-born Father Burke began when both were in Rome during the 1867 Feast of St. Peter, the eighteenth centenary commemoration of the saint’s martyrdom. Hurlbert fondly noted his time with Burke during an 1878 visit to Ireland. 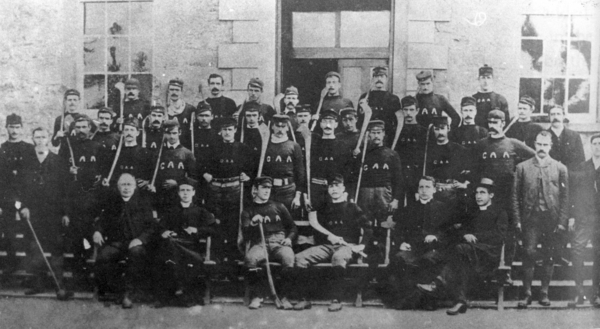 Their friendship “ended only with his life,” in 1883, at Tallaght, near Dublin. Only Father Burke, who happened to be in America on other matters in 1872, could respond “temperately, loftily, and wisely,” Hurlbert reasoned. Hurlbert “begged” Burke “to find or make time” to produce a series of lectures replying to Froude’s speeches. Burke agreed, Hurlbert reported, only after “consulting with the highest authorities of his Church, and with two or three of the coolest and most judicious Irish citizens of New York.” And while the Irish priest’s brogue was “a memory as of music in the ears of all who heard it,” his criticism of intemperate Irish nationalism sounded even sweeter to Hurlbert, especially on American soil. I couldn’t find any reporting of the servants’ walkout in that day’s Tribune, but it was described in The New York Times, which added that Froude also had been “bustled by some rude persons” in New Haven, Connecticut. “We do not know what truth there may be in these stories; but we much fear that Mr. Froude is not in an earthly Paradise,” the Times reported. There is one problem here. Boston financier George Peabody died in 1869, three years before Froude’s trip to Boston. W.H. Dunn, in his 1960s biography of Froude, corrected Paul in a footnote that speculated Froude had stayed with George H. Peabody, shown in the city directory at 76-78 Milk Street. I found an 1872 Boston newspaper account that mentions “Dr. Peabody of Harvard” among “several prominent gentlemen” who occupied the stage of the “half filled” Tremont Temple for one of Froude’s lectures. 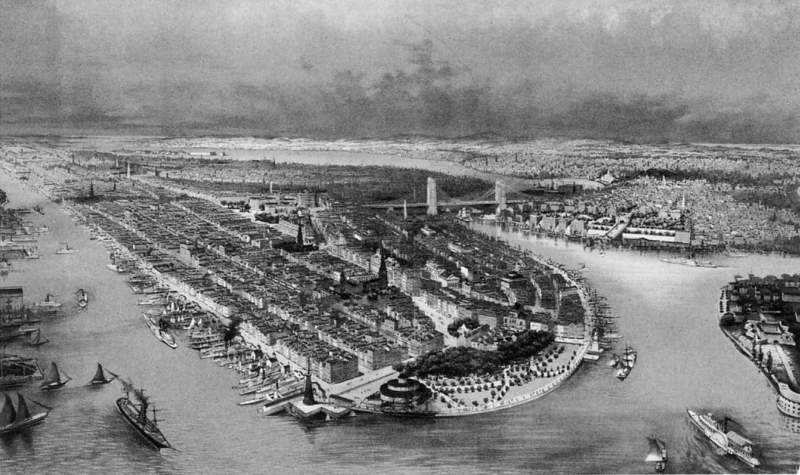 Paul and Dunn each noted that Froude witnessed the historic 9 November 1872 fire, which killed 13 to 20 people and destroyed hundreds of buildings over 65 acres in Boston’s city center. The fire was stopped near Milk Street. Both biographers quote from one of Froude’s letters that described the tragedy. Paul wrote that Froude donated $700 to the relief effort, which included help for many Irish immigrant families displaced by the fire. Fitzpatrick’s biography also cites letters from two people who confirmed Hurlbert’s role in the lecture drama. One is Major Patrick M. Haverty, a Dublin-born friend of Father Burke who came to America in the late 1840s. Haverty assisted General Thomas F. Meagher in organizing the Irish Brigade during the U.S. Civil War, and was an established publisher and bookseller in New York at the time of the priest’s 1872 visit. Father Burke’s lectures easily carried popular opinion in America, which still harbored deep anti-Anglo feelings a century after its own revolution against England, and were more recently inflamed during the Civil War. Americans bristled at Froude’s anti-democratic and anti-Catholic rhetoric. Besides, they liked an underdog, in this case, Ireland. 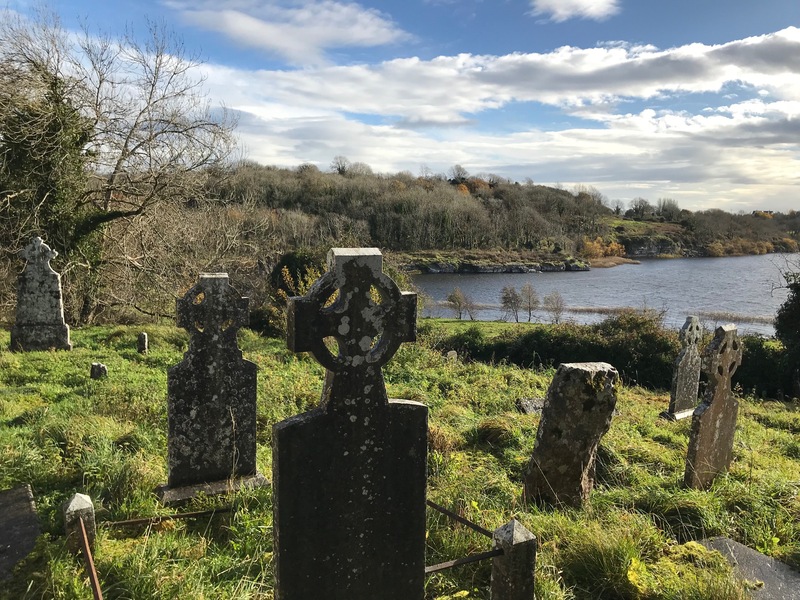 A few years after his return from America, Father Burke said that any Irishman living abroad would experience “a yearning and a craving and a love for Ireland … that he never felt before.” But he never became a strong voice for Irish independence that some hoped. “Advanced nationalists often made it a source of complaint and resentment against Burke that after his return to Ireland he confined himself to priestly functions,” Fitzpatrick wrote. Hurlbert observed that the 1882 murder of two English government officials by militant nationalists in Dublin’s Phoenix Park “went near to breaking the heart and hope of poor Father Burke” a year before his death. Hurlbert insisted “the strike of the servant girls at Boston” was a “precursory symptom” of the “social plague of boycotting” that he found so prevalent in Ireland during his 1888 visit. His friend’s 1872 rebuke to the Irish workers, Hurlbert concluded, anticipated the papal decree against such activity issued during his travels. Burke and Froude from pages 4-6 of Ireland Under Coercion: The Diary of an American. Additional information on Burke from pages 41, 54, and 222. Herbert Paul, The Life of Froude, Sir Isaac Pitman & Sons, London, 1905, pages 223-228. Waldo Hilary Dunn, James Anthony Froude, A Biography, Vol. 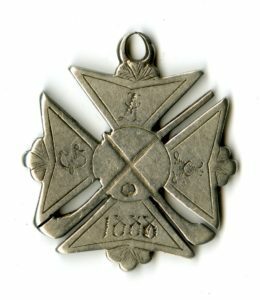 2, 1857-1894. Clarendon Press, Oxford, 1961-63: footnote, page 611; fire, page 384. William J. Fitzpatrick, The Life of the Very Rev. 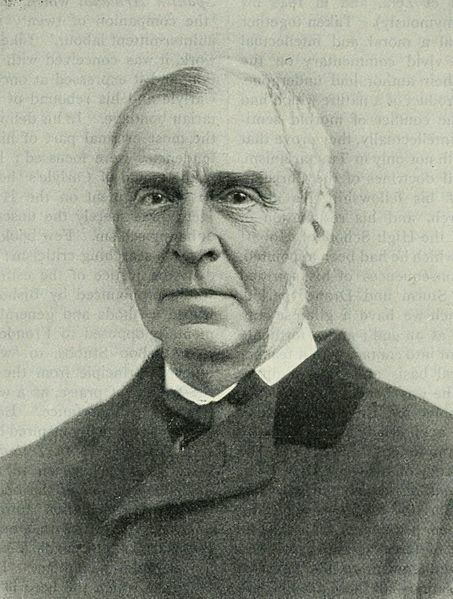 Thomas N. Burke, Vol. 2, New York, 1886: “Nora and Biddys…”, pages 77-78; “he was so impressible…”, page 77; “visited the art galleries together…”, page 62; and “An Irishman abroad” and “advanced nationalists…”, page 78-79. “carried popular opinion…” Wayne C. Minnick, 1951, “The Froude-Burke Controversy” in Speech Monographs, 18, pp. 31–36. The Irish servants walkout in Boston resurfaced in Andrew Urban’s 2017 book, Brokering Servitude: Migration and the Politics of Domestic Labor During the Long Nineteenth Century. Urban cited Hurlbert as his source, in addition to earlier English newspaper reports about Irish worker protests in America. This entry was posted in Arts & Culture, History, Irish America, Journalism and tagged Father Thomas Nicholas Burke, James Anthony Froude, Major Patrick M. Havery, Patrick James Smyth, William Henry Hurlbert on October 1, 2018 by admin. Ireland Under Coercion, Revisited: Hurlbert who? My posts about Hurlbert’s reporting in Ireland have now covered the contents of Volume 1 of his book, roughly the one-month period from his late January 1888 arrival in Dublin through the third week of February, 1888. Before starting Volume 2, I want to take a break from the text to focus some attention on the author. This will serve as a foundation for later posts on his views about Ireland and the Irish in America. His name will not be familiar—hardly anyone today ever has heard of this eccentric nineteenth-century genius. Sic transit gloria mundi. (Thus passes the glory of the world.) Acclaimed at his height as “the most brilliant talent of the New York press” and “the only artist among American journalists,” Hurlbert once commanded attention. …offered verbatim accounts of behind-the-scenes discussions at the very highest levels during the winter of 1860 and ’61. Its pithy quotations attributed to the key principals — Stephen A. Douglas, William H. Seward and especially Abraham Lincoln — have been endlessly recycled by historians. But the author of the diary remained cloaked in anonymity … [and] the purported diary was not an actual diary … [it] was a fictional construct … rooted in reality. Crofts surveyed the “enormous printed output” of Hurlbert’s journalism career, before and after the Diary was published, to establish as well as possible more than 100 years later that he was the mysterious author. Crofts also worked with statistician David Holmes to subject the Diary to an analysis of literary style known as “stylometry,” which quantifies frequently used words and patterns of words. Ireland Under Coercion had “important implications” for their analysis, Crofts wrote. Hurlbert’s vocabulary and alliterations in the 1888 book were “strikingly reminiscent” of the Diary published nine years earlier. Born in 1827 in Charleston, South Carolina. His family moved to Philadelphia in 1831 and remained there through 1843, then went back to South Carolina after Hurlbert’s father died. After college, Hurlbert traveled in Europe, served a brief stint as a Unitarian minister in Massachusetts, and finally began working as a journalist, joining The New York Times in 1856. Between 1857 and 1869, Hurlbert was portrayed as a fictional character in three novels by people who knew him. These portrayals offered “a baffling mix of qualities,” from “warmly ingratiating and intellectually brilliant” to “secretive, self-centered and ultimately self-destructive,” according to Crofts. A Douglas supporter, Hurlbert’s personal peacekeeping mission in 1861 resulted in his 13-month imprisonment by the Confederates in Richmond, Virginia. He escaped, returned to the North, and soon joined the New York World, which he subsequently edited. As he was writing the Diary in 1879, Hurlbert also led the successful campaign to move a 3,500-year-old obelisk, “Cleopatra’s Needle,” from Egypt to New York City’s Central Park, where it remains today. As suggested above, future posts will deal with Hurlbert’s views of the Irish in America and how his experiences with the American Civil War influenced his views on the agrarian agitation and Home Rule movement in Ireland. I’ll also look at the U.S. and European reviews of Ireland Under Coercion. New York City in the 1880s. 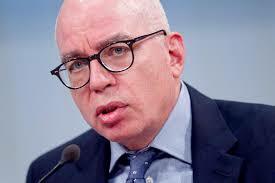 After Hurlbert”s U.S. newspaper career peaked in 1883, he moved to Europe. He traveled in Ireland during the first half of 1888. NOTES: Opening quote from page 8 of Ireland Under Coercion: The Diary of an American. Other material from A secession crisis enigma : William Henry Hurlbert and “The diary of a public man by Daniel W. Crofts. This entry was posted in Arts & Culture, History and tagged Daniel W. Croft, William Henry Hurlbert on March 15, 2018 by admin. My last post mentioned Hurlbert’s reference to French journalist Philippe Daryl, who wrote about his 1886 and 1887 travels to Ireland in a book published shortly before the American arrived in Dublin. Hurlbert referenced several other contemporary accounts in his book. There have been numerous travel books written about Ireland, and not just by journalists. Travellers’ Accounts as Source-Material for Irish Historians, is an excellent 2009 reference by Christopher J. Woods. It details 209 accounts from Sir William Brereton in 1635 to S.P.B. Mais in 1949, including Hurlbert. Woods provides travel dates, itinerary, people encountered and content overviews. The Irish Question, by David Bennett King. Published 1882, based on travels in 1881 and 1882. 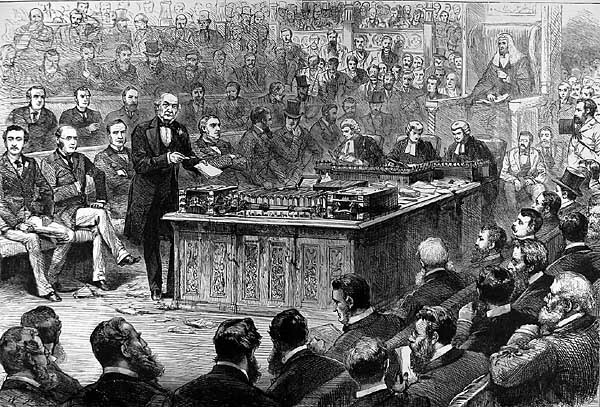 The Eve of Home Rule: Impressions of Ireland in 1886, by Henry Spenser Wilkinson. Published 1886. Paddy at Home (Chez Paddy), by Baron Edmond de Mandat-Grancey. Published 1887, based on travels in 1886. Referenced by Hurlbert. Incidents of Coercion: A Journal of Visits to Ireland in 1882 and 1888, by George Shaw-Lefevre, Published 1888. 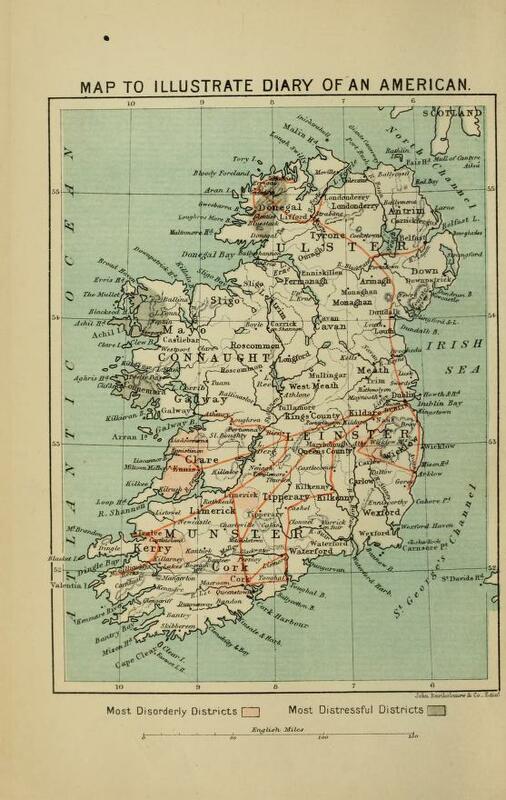 Ireland’s Disease, the English in Ireland, by Paschal Grousset (pseudonym Philippe Daryl), Published 1888, based on travels in 1886 and 1887. Referenced by Hurlbert. The Land War in Ireland: Being a Personal Narrative of Events, by Wilfrid Scawen Blunt, Published 1912, based on travels in 1886, 1887, and 1888. Author referenced by Hurlbert. In Castle and Cabin: or Talks in Ireland in 1887, by George Pellew, Published 1889. Rambles of a Physician: or, A Midsummer Dream, by Matthew Woods, Published in 1889, based on travels in 1887. Now, on the eve of my seventh trip to Ireland in 18 years, I will take a short break from my Ireland Under Coercion, Revisited project as I do further research on this and other topics. I will update the hand-written entries of my black leather travel journal of my 2000, 2001, 2005, 2009, 2012 and 2016 trips. I also will post on the blog about my latest travels. The #IUCRevisited project will resume by early March. NOTES: Top quote from page 168 of Ireland Under Coercion: The Diary of an American; Hurlbert notes his earlier visits to Ireland on pages 41-42. Historic books linked via HathiTrust Digital Library. This entry was posted in Arts & Culture, History, IUC, Revisted and tagged David Bennett King, Edmond de Mandat-Grancey, George Pellew, George Shaw-Lefevre, Henry Spenser Wilkinson, Matthew Woods, Paschal Grousset, Wilfrid Scawen Blunt, William Henry Hurlbert on February 15, 2018 by admin. In a fortuitous coincidence, my launch of this project coincided with the January 2018 release of Michael Wolff’s book Fire and Fury: Inside the Trump White House. Wolff’s book about the American presidential administration and Hurlbert’s 1888 publication about Irish political agitation share one significant characteristic: frequent use of unnamed sources. As we’ve discovered in this blog serial, Hurlbert was very transparent about his sympathies for Irish landlords and the unionists supporters of London’s ruling conservative Tory government. He openly disdained Irish nationalists and the island’s urban and rural poor. Father White was Catholic parish priest in Miltown Malbay, about 20 miles west of Ennis, County Clare. In his book, Hurlbert accused the priest of organizing boycott activities, which Father White strongly rebutted in his pamphlet. I’ll return to this matter in a future post. After this chapter had actually gone to press, I received a letter from the friend who had put me into communication … [with these people] begging me to strike out all direct indications of their whereabouts, on the ground that these might lead to grave annoyance and trouble for these poor men from the local tyrants. … What can be said for the freedom of a country in which a man of character and position [his “friend”] honestly believes it to be ‘dangerous’ for poor men to say things recorded in the text of this chapter about their own feelings, wishes, opinions, and interests? The explanation bolsters Hurlbert’s contention that the worst coercion in Ireland came from shadowy and violent agrarian activists, not the police and government officials who enforced the laws of London. Ireland Under Coercion does identify people in this latter group, which is why the book remains relevant for historical study. The lack of sourcing is a problem because it means evidence is given a back seat to narrative oomph. It encourages people to suspend their critical thinking skills and follow their emotions into a pleasing narrative. That narrative might be true or it might not be, and it’s almost impossible to independently evaluate. NOTES: Bulleted “sources” from pages 54, 71, 88, 125, 152 and 179, respectively; footnote from page 361, of Ireland Under Coercion: The Diary of an American. … Father White’s comments on pages 24, 25 and 28 of Hurlbert unmasked : an exposure of the thumping English lies of William Henry Hurlbert in his ‘Ireland Under Coercion.’ Special thanks to Hesburgh Libraries at the University of Notre Dame. … New York Sun, 31 January 1891, page 7. 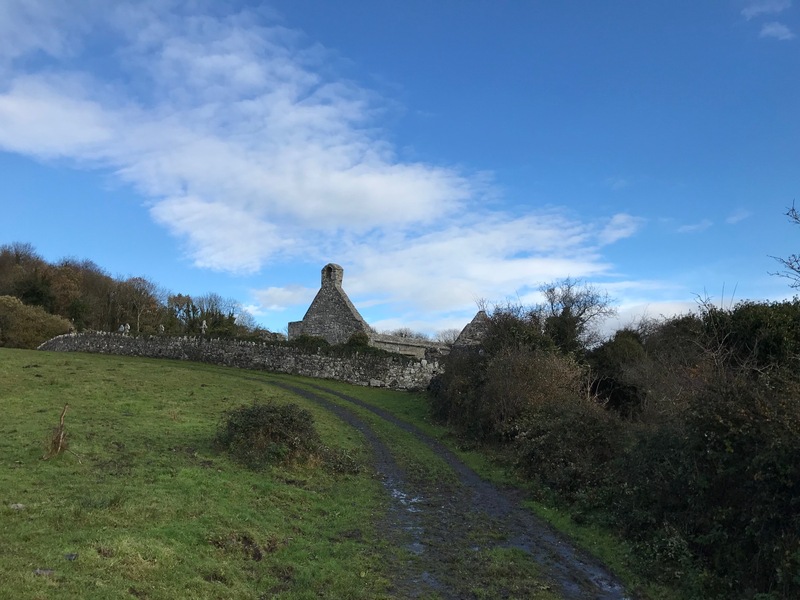 This entry was posted in History, IUC, Revisted, Politics and tagged county clare, Father Patrick White, Michael Wolff, William Henry Hurlbert on February 3, 2018 by admin.